How and why does a song blow up? A look at the top of the Billboard Hot 100, Spotify’s Top Hits playlist, the iTunes Top 10 or any other modern metric of success reveals a few familiar commonalities: massive superstar artists, recognized sonic formulas for success, and, generally, a carefully timed release date. When it comes to that last variable, there’s a long history of the players behind some of your favorite music relying heavily on a supposed pseudoscience to dictate the ideal timing of dropping records. Not convinced? Please direct your attention to a number of times “your favorite rapper” has had an album ceaselessly pushed back. Don’t worry, 2009-2011 Lupe will wait. However, there are always a handful of songs that break that mold and, for one reason or another, defy the timing, and year, of their release. In our ever-more digital music landscape, the old rules have gone the way of Blockbuster video stores. They’re played all the way out. Conventional album and single rollouts are a thing of the past. Any song residing on any one of the endless number of music distribution platforms we use can blow up at any time. If a track has the proper star power, like the Avengers-esque combination of 2015-era Future and the Weeknd, it can shoot into the stratosphere overnight. Other times, an unknown can drop a SoundCloud gem that’ll take months and months to catch any attention and then suddenly—perhaps off the strength of a high-powered remix or eye-catching video—become immediately unavoidable. It’s a consistent modern musical phenomenon and one that tells us a lot about how we find, enjoy and obsess over songs in today’s world. 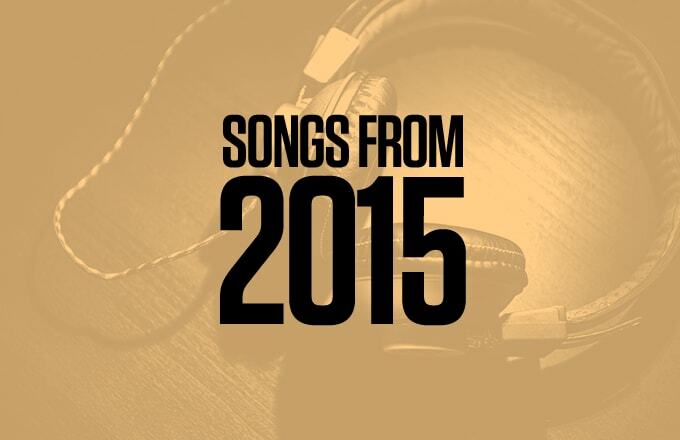 Now, with the year ticking toward its halfway mark, it’s time to survey the landscape and check out the songs from 2015 that are making their presence felt in 2016.